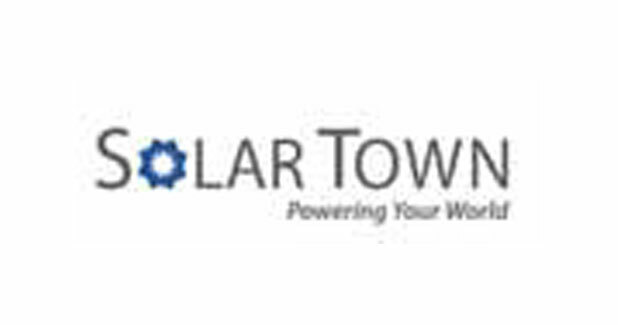 SolarTown Energy Solutions Pvt Ltd is a pioneer in India´s solar industry specialising in the sale, lease and installation of solar rooftop systems for residential, commercial and industrial customers. SolarTown empowers businesses and homeowners to take control of their electric bills by adopting clean solar power at a fixed cost that is lower than discom rates. Shielding its customers against rising energy costs, SolarTown offers two options: direct purchase of a system with accelerated depreciation tax benefits and payback periods as low as five years, or lease of a system with no upfront costs and a fixed rate going forward. Its confidence in its systems is reflected in a unique 15-year performance guarantee and hassle-free O&M service. 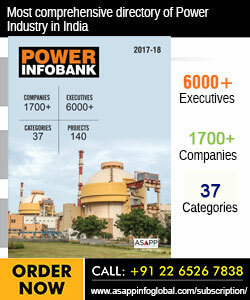 With over 100 installations and an impressive customer base of some of India´s top corporates, such as Infosys, Axis Bank, RBL Bank, Renault-Nissan, Plant Engineering and Aachi Group, SolarTown is India´s preferred supplier of solar rooftop systems from 1 kW to 300 kW. The company was founded in 2012 and headquartered in Chennai. The company has been championing financial innovation in rooftop financing which is the key factor in the success of the segment. This financial innovation has not only boosted the growth of the company but the sector as a whole. It is one company that is working to make solar more accessible to the general small business and residential population for whom solar was previously cost prohibitive. It´s solar rooftop systems provided critical support to citizens of Chennai during floods and electric grid shutdown. Not only did its off-grid solar systems provide critical support to its customers during the devastating floods, SolarTown customers were able to assist their surrounding communities by allowing citizens to charge phones and send updates on conditions in the city, providing a critical lifeline. It also recently installed the first commercial net-metered solar PV rooftop system in Mumbai under Brihanmumbai Electric Supply & Transport (BEST). SolarTown Energy recently announced the installation of a 41 kW net-metered solar rooftop system at the historic Bombay Presidency Radio Club, one of Mumbai´s oldest clubs. The Bombay Presidency Radio Club, which opened in 1928, gained its name and historical significance for being the first radio station to broadcast in Mumbai. Nearly 100 years later, the Radio Club reaches a new milestone; the first commercial establishment in Mumbai to have a net-metered solar PV system installed on its building. This will enable the Radio Club to sell its excess electricity back to the grid under Brihanmumbai Electric Supply & Transport (BEST) and further reduce its utility bill. The Radio Club is estimated to save more than Rs.8,50,000 annually from its new solar system. The Radio Club entered into a no upfront cost, 25-year lease agreement with SolarTown at a rate that is 35 to 40 percent lower than their utility tariff. The installed system delivers clean power at a fixed cost over the length of the lease and includes maintenance services. The rooftop system will offset 20 percent of the Radio Club´s energy consumption from the grid and more than 1,189 tons of carbon dioxide over the lifetime of the solar installation. The Radio Club, located on the Arabian Sea, required a solar PV solution built to withstand wind speeds of 200 kmph during monsoons. SolarTown constructed high grade solar structures with a special grade coating coupled with high quality weatherproofing to prevent corrosion. The system was installed over two rooftops to maximize electricity generation.